We have a similar fence, and had to but chicken wire along the base to keep the bunnies from chewing through it. Worked, tho. Haven’t seen a bunny in the garden in two years! Your veggies look great, btw. 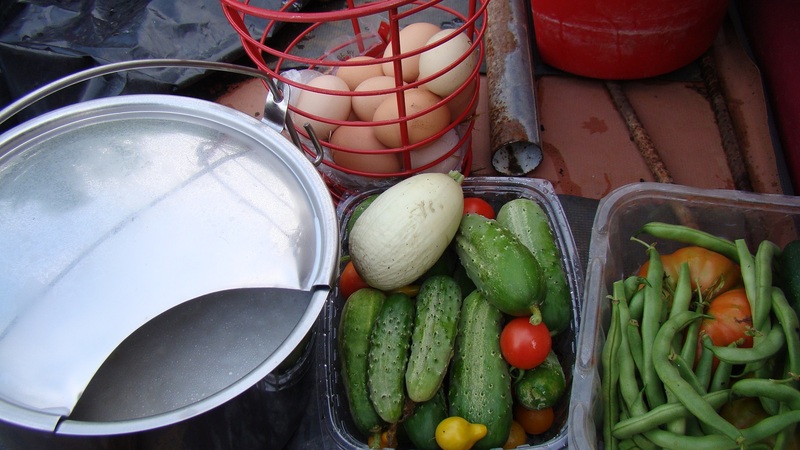 We’re about two weeks behind you in harvesting, and I can’t wait for the cukes and tomatoes to start really producing.